Professor Muir is a nationally recognized expert on fiduciary and remedial issues especially in the fields of investments, pension plan funding, plan investment selection and investment policies, and investment advice. She is a passionate supporter of Ross School research showing that business can play a positive role in society and the way law supports business in playing that role. Her research reaches extensively into her peer academic community (both domestically and internationally), the legal community at-large, as well as the legislative, judicial and executive branches of the U.S. government. Her work has been cited by the U.S. Supreme Court and other federal courts. Professor Muir was the Editor-in-Chief of the annual supplements to Employee Benefits Law, the treatise for the employee benefits field and is a Fellow of the American College of Employee Benefits Counsel as well as a member of the College's Board of Governors. Professor Muir is a member of the World Economic Forum's Global Agenda Council on The Future of Insurance and Asset Management. She has been active in a variety of government-related policy roles. As a member of the Employee Benefits Security Administration's Advisory Group, she chaired the DOL working group on Defined Benefit Plan Funding and Discount Rate Issues. She served at PBGC during the implementation of one investment policy and the subsequent review of that policy. She spent her sabbatical in 2000 as a Congressional Fellow in the office of Representative (Rep.) Robert Portman (currently Senator Portman). Professor Muir holds an Arthur F. Thurnau Professorship at the University of Michigan in recognition of undergraduate teaching excellence. She was a member of the Advisory Board of the Center for Research on Learning and Teaching. 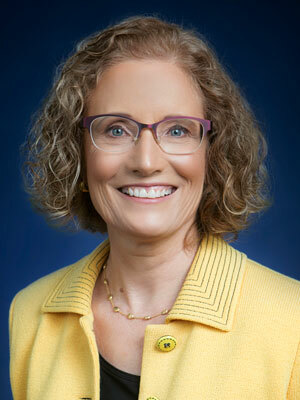 Professor Muir is a member of the board of the Ann Arbor Summer Festival and served as a board member and chaired the compensation committee at Aerospace Corporation. She has acted as an expert witness on fiduciary issues. Prior to joining the Ross School, Professor Muir practiced law at national law firms based in Chicago and Detroit and held a number of human resources positions at Chrysler Corporation. Dana Muir has 1 products available, viewing 1-1.